Our benchmarks prove the system requirements are steep. 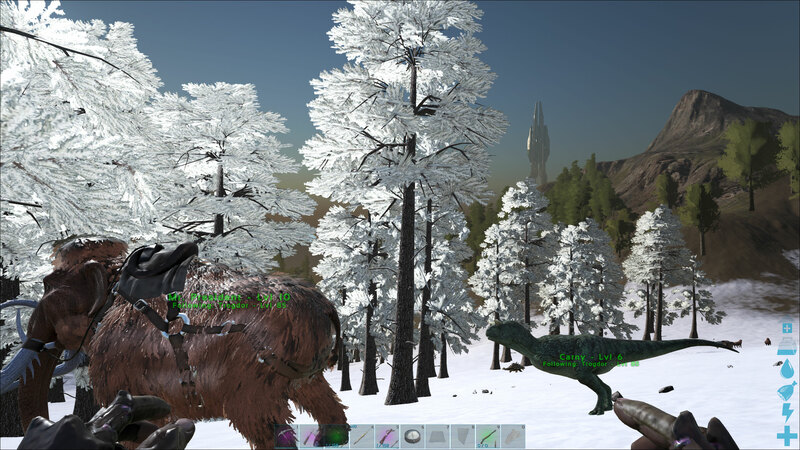 Ark represents some of the best and worst aspects of Early Access. 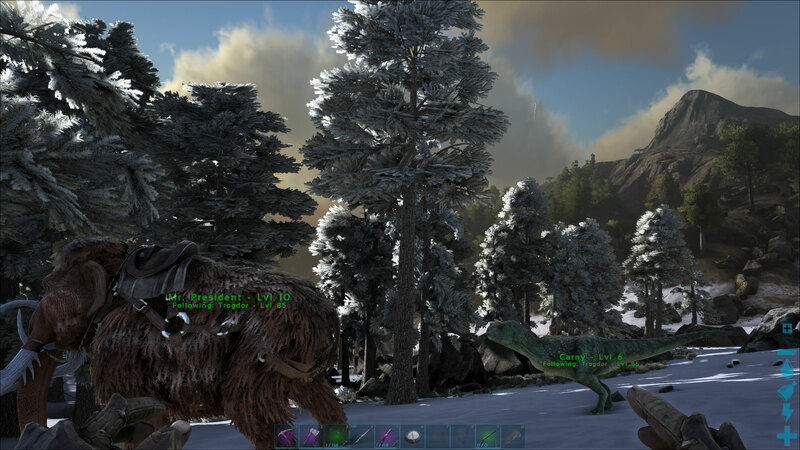 After more than two years spent in Early Access, Ark has finally hit the retail milestone. Poor performance and glitches were somewhat excusable during the extended 'beta' period, since the game wasn't officially released—it was early and many assumed optimizations would be coming in future updates. But the retail launch has now come and gone, so there are no more excuses. Let's just get this out of the way right here: Ark's system requirements are steep, and it's perhaps telling that there's no official word on the minimum and recommended system specs for the game. While the visuals can be impressive at times, animations could be better, and clipping is a major issue. I also encountered various graphical glitches, depending on settings and hardware. In short, Ark isn't running anywhere near as smoothly as the Destiny 2 beta. If you're using anything less than a high-end graphics card, be prepared to dial down the settings quite a bit. The epic preset is brutally punishing, taking down even the fastest current graphics cards. Given its PC and EA roots, it's no surprise that Ark gets many things right. Resolution and aspect ratio support are present and accounted for, custom field of view is also available, the framerate can be unlocked without any anomalies, and there are plenty of options for tweaking graphics quality and performance. FOV is about the only potentially contentious issue, as this can be disabled on servers, but it works in single-player mode. 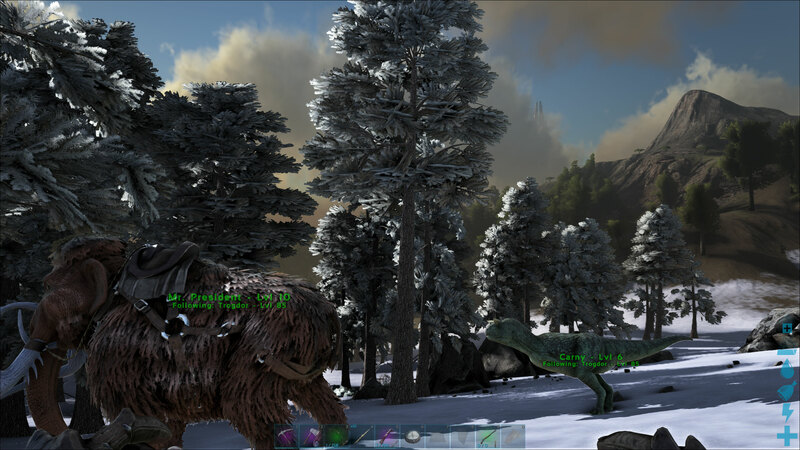 One of the key elements of Ark is its full support for modding, a major saving grace according to our review. 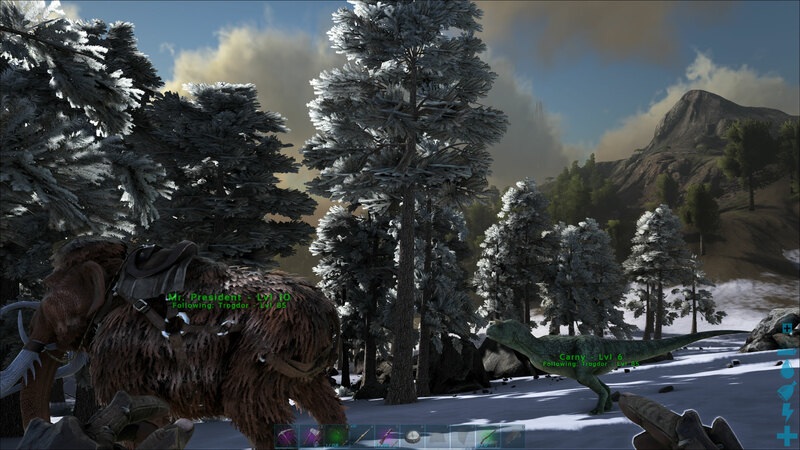 The official Ark servers can be a mess, with technology levels ranging from the stone age to the futuristic and a brutal grindfest, but mods and custom servers can alter nearly all aspects of the game. As our partner for these detailed performance analyses, MSI provided the hardware we needed to test Ark: Survival Evolved on a bunch of different AMD and Nvidia GPUs, multiple CPUs, and several laptops—see below for the full details. Full details of our test equipment and methodology are detailed in our Performance Analysis 101 article. Thanks, MSI! Ark comes with a slew of graphical settings as well—27 to be precise, not including a few additional options like resolution scaling. There are four presets that define most of the individual items (low, medium, high, and epic), but one thing to note is that the presets adjust the resolution scale by default—94 at epic, 82 at high, 73 at medium, and 55 at low. It's not clear precisely how the scaling affects performance, since the range is 0-100, but basically anything below 100 will render at a lower resolution. I've set the resolution scale to 100 for all the testing that follows. If you want to render at a lower resolution, of course that can improve performance quite a bit. Unlike some other games, many of the individual settings have a pretty sizeable impact on performance. I cover these in detail below, but basically you can nearly triple performance by going from the epic preset to minimum quality—with an equally severe drop in image fidelity, naturally. Some of the biggest items you might want to turn down include post processing, all forms of shadows (including ambient occlusion), view distance, and high quality LODs. I would also disable motion blur purely out of principle—I don't like games adding extra blur. As has been the case with many of our recent performance analysis articles, Nvidia hardware leads AMD across most of the product spectrum. The good news is that the lead isn't quite so pronounced as I've seen in other games, but the bad news is that anything short of the GTX 1080 Ti will fail to break 60 fps at 1080p epic—and even the 1080 Ti falls well below that mark at 1440p epic. Thankfully, with some judicious tweaks you can get decent performance on midrange and above GPUs without making the game look too ugly. MSI provided all of the hardware for this testing, mostly consisting of its Gaming/Gaming X graphics cards. These cards are designed to be fast but quiet, and the fans will shut off completely when the graphics card isn't being used. Our main test system is MSI's Aegis Ti3, a custom case and motherboard with an overclocked 4.8GHz i7-7700K, 64GB DDR4-2400 RAM, and a pair of 512GB Plextor M8Pe M.2 NVMe solid-state drives in RAID0. There's a 2TB hard drive for additional storage, custom lighting, and more. MSI also provided three of its gaming notebooks for testing, the GS63VR with GTX 1060, GE63VR with GTX 1070, and GT73VR with GTX 1080. Note that the GE63VR has replaced the GT62VR as the 1070 offering, with a sleeker, nicer looking build and a few updated components. For CPU testing, MSI also provided several different motherboards. In addition to the Aegis Ti3, I have the X299 Gaming Pro Carbon AC for Skylake-X testing, Z270 Gaming Pro Carbon for additional Core i3/i5/i7 Kaby Lake CPU testing, X370 Gaming Pro Carbon for high-end Ryzen 7 builds, and the B350 Tomahawk for budget-friendly Ryzen 3/5 builds. For the benchmark settings, I've used the medium and epic presets (with resolutions scaling set to 100), but because Epic is so demanding I've also included some minimum quality 4K testing for reference. While in theory it would be best to test Ark on public servers, in practice that introduces a ton of variables that are difficult to account for—server performance, number of players, time of day, and performance altering adjustments to the environment—not to mention the ever-present possibility of getting clobbered by other players. To avoid these, I've elected to run in single-player mode, with a static time of day (6:59am). I cleared out a nice beachfront property, built a humble starting shack with a bed and a few chests, and then got busy testing. I did do a few spot checks of performance on public servers as well, and found that in general the single-player benchmarks match up to what you'll see in less populated areas. If you're part of a tribe with a huge base and lots of dinosaurs, performance can drop below what I show—or in some areas of the game, performance may be better. The important thing is that for the most part, things will scale equally across the various GPUs. First up, we have the normally tame 1080p medium, which is usually where the budget cards shine. Here, however, the lower tier hardware already starts to struggle. The 1050 and 1050 Ti barely clear 30 fps, along with the previous generation R9 380, while the RX 560 comes up well short of that mark. Medium quality looks decent overall, and ARK is certainly playable at 30-40 fps, but if you're after smooth framerates at 1080p medium, you're going to need closer to a GTX 1060 to get there. If you drop everything to minimum quality, you can improve performance by around 60-75 percent as well, which gets the RX 560 to playable levels. 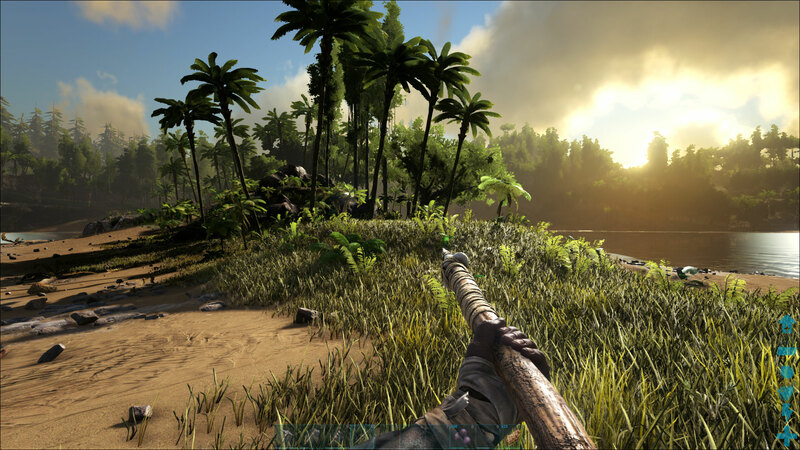 Some mods can further reduce image fidelity as well, but in general ARK proves to be too much for slower graphics cards. Intel's HD Graphics 630 shows just how bad things can get, limping along at just 5 fps—not even remotely tolerable. I wanted to see if I could get the game to a playable level at all on Intel's IGP, and depending on your definition, I sort of got there at 1280x720 and minimum quality, where the HD 630 was able to muster about 18 frames per second. Older generation integrated graphics solutions will fare even worse, so basically you should plan on bringing a dedicated GPU to the Ark party. Stepping up to 1080p epic, the graphics cards continue dropping like flies. The only GPU to manage more than 60 fps is the GTX 1080 Ti, a $700 graphics card that currently reigns as King of the Hill in the graphics card market (unless you count the even more expensive $1,200 Titan Xp, which is about five percent faster than a stock 1080 Ti). At 1080p Epic, the graphics cards are dropping like flies. Of the current generation graphics cards, only half a dozen manage to break 30 fps. Basically, you'll need an RX 580 or GTX 1060, and maybe turn down one or two settings to get reasonably smooth framerates. With a few adjustments, the RX Vega 56 and above can get to 60 fps and still look good, but very few gamers are going to be able to max out all of ARK's settings, particularly at higher resolutions. Given what we've seen so far, 1440p epic shouldn't be much of a surprise. Now even a GTX 1080 Ti only gets 46 fps, and the Vega 64 and GTX 1080 only barely clear 30 fps. If you're running a 144Hz 1440p display, good luck on maxing out the refresh rate—even at minimum quality you're going to come up short. The overall standings don't really change much from 1080p epic, the framerates just become lower. RX 580 does pull ahead of the GTX 1060 3GB now, but it's a pyrrhic victory considering both fall below 20 fps. If you're hoping multi-GPU helps in the form of SLI or CrossFire, I did see a boost to framerates with GTX 1080 SLI (around 74 fps, which is better than 100 percent scaling), but unfortunately there were also rendering errors—flames in particular looked pretty bad, along with some shadow flickering. Given the increase in framerates, I suspect SLI isn't fully rendering everything. It can work in a pinch, but you're better off with a faster single GPU and lowering some settings. And how about 4K epic quality, the holy grail of gaming? Performance is about half of what I measured at 1440p epic, which means even the $700 GTX 1080 Ti struggles at just 25 fps. SLI scaling is again very good, above 90 percent, but with the rendering issues I wouldn't call that a clear win. I didn't bother testing most GPUs at 4K epic, for obvious reasons. Nothing short of 1080 Ti SLI can properly handle these settings, and there are better ways to improve performance. Instead of spending more time on settings that no one is likely to run, I decided to run some additional tests at 4K minimum quality to see if I could get playable framerates. There we go, smooth sailing at 60+ fps and 4K! And if you have a 1080 Ti, you can even bump a few settings up a notch and still get smooth performance. But the only other card that can hit 60 fps at 4K minimum quality is the GTX 1080, and this is with a factory overclocked card. Ouch. If your goal is 30 fps or more, you'll still need at least a GTX 1060 to get there—and for multiplayer, probably a GTX 1070 or Vega 56 is a better starting point for 4K. There are two more areas to look at with Ark. First is CPU requirements, which end up being mostly a non-event. ARK is super heavy on the GPU side of things, but not so much on your CPU. Swipe left/right for more images. Even a modest Core i3-7100 handles the game, though it might do worse in multiplayer, and I doubt anyone with a 1080 Ti is using less than a Core i5. Testing at higher resolutions and quality doesn't give the CPUs much a change to differentiate, but at 1080p medium there's a sizeable 50 percent difference between the Threadripper 1950X and the i7-7700K. That's with all the CPUs using DDR4-3200 memory, incidentally, but while Intel holds a clear lead at 1080p medium, for most PCs you'll end up with a GPU bottleneck. At 1080p epic, there's only a 12 percent difference between the fastest and slowest CPU I tested, and at 1440p epic it's an eight percent difference. Core i5 or Ryzen 5 and above should be more than sufficient for Ark. I also ran some CPU tests with the RX Vega 64 as a second option, and unsurprisingly the gap between CPUs becomes much smaller. At 1080p medium, Threadripper 1950X is still the slowest CPU, at 77 fps, but even the overclocked i7-7700K only gets 84 fps—and the Ryzen 1800X also get 84 fps if you're wondering. 1080p epic, all the CPUs fall into the 43-46 fps range, and at 1440p epic it's 29-30 fps. In general, Ark needs far more from the GPU than the CPU, and Core i5 or Ryzen 5 and above should be more than sufficient for most gamers, with Intel's chips still holding a small advantage depending on the resolution and settings. Flipping over to gaming notebooks, there's not much to say. The GPUs all land right where you'd expect, with the desktop equivalents delivering better performance than the notebooks in all cases. The gap is smaller with larger notebooks that have better cooling, as the clockspeeds on the smaller notebooks tend to be a bit lower for both the GPUs and CPUs. The GT73VR is a huge 17.3-inch desktop replacement with large cooling fans and heatsinks, and the desktop 1080 is only 5-15 percent faster at 1080p, depending on settings. Stepping down to the more compact GE63VR and its 15.6-inch chassis, the desktop card holds a 15-20 percent lead. Finally, the thin and light GS63VR has to cope with much more constrained cooling, giving a 20-35 percent lead for the desktop card. There are a lot of knobs and dials to fiddle with in Ark, and many of them can cause a pretty decent jump in performance. Here's the full rundown of the various settings, along with approximate performance differences. These tests are from a single GTX 1070 running at 1440p epic, comparing the minimum setting on each item to the maximum (epic default) setting using the average framerate. Graphics Quality (Low/Medium/High/Epic): the global preset, with four settings. Going from epic (with 100 percent scaling) to high improves performance by around 40 percent, while going from epic to medium improves performance by about 80 percent. Finally, going from epic to the low preset yields a 125 percent increase in performance—and even low doesn't represent absolute minimum quality. I've included some image quality comparisons in the following gallery to show how the various presets change the way the game looks. The first four 1440p images have resolution scaling set to 100 (the way I benchmarked), while the second set of four 1080p images use the true preset, with resolution scaling of anywhere from 55 (low) to 94 (epic). Resolution Scale: This isn't really a setting I like to use, as it's just a different way of modifying the rendering resolution. You can go from a minimum of 0 to 100 percent, so there's no supersampling option—not like many GPUs could really handle that. It's also unclear what the settings actually correspond to, as lower values below 50 don't appear to cause much of a change. World Tile Buffers (Low/Medium/High/Epic): Affects the loading and caching of large areas of the map into system memory. If you have a system that doesn't have much RAM, turning this down could help more, but on a 16GB system there was almost no change in performance between epic and low. View Distance (Low/Medium/High/Epic): The range at while extra object rendering gets cut off. This has a significant impact on visuals, and turning it from epic to low results in about a 15 percent increase in performance. Anti-Aliasing (Low/Medium/High/Epic): All of these are post-process anti-aliasing algorithms. I believe low uses FXAA (Fast Approximate AA), which has almost no impact on performance, while the other three settings use varying degrees of SMAA (Subpixel Morphological AA). Going from epic to low increases performance by around 4-5 percent. General Shadows (Low/Medium/High/Epic): Determines the quality and amount of shadows cast by various objects—trees, rocks, creatures, buildings, etc. Dropping this to low disables all shadows from these entities, and increases performance by around 17 percent. Terrain Shadows (Low/Medium/High/Epic): Like the above, only this is specifically for non-destructible options—the terrain. Dropping this to low disables all terrain shadows and increases performance by around 14 percent. Textures (Low/Medium/High/Epic): Affects the quality for all of the textures, and can cause a significant performance hit on graphics cards with less than 4GB VRAM. Dropping from epic to low gives a 12 percent boost to performance, but the visual impact is significant. Most GPUs should be able to handle the medium or high setting without much difficulty, and these look much better than the low setting. Sky Quality (Slider): This only changes the quality of the sky, so if you don't care about seeing clouds and other effects you can turn this down. Dropping to minimum results in about 6 percent better framerates. Ground Clutter Density (Slider): Effects the amount of extra clutter—grass, rocks, and other non-interactive objects. While there's a large visual tradeoff by setting this to minimum, it can make the game easier to play, as you are able to see stones and other objects you can pick up more easily. At minimum, performance improves by around 17 percent. Ground Clutter Distance (Slider): This determines the range at which the extra 'clutter' is rendered. Again, there's a decent improvement of 14 percent that can be had by dropping this to minimum, though if you change the above to minimum as well that already accounts for most of this performance increase. This is Ark at epic quality, crapping on your PC's hardware. Mesh Level of Detail (Slider): Changes the amount of extra polygons used in rendering the environment, terrain, trees, and other objects. The visual impact isn't all that large when dropping from max to minimum, and you can gain about 10 percent higher performance, but you may want to keep this a bit higher for image quality. High Quality Anisotropic Filtering (Off/On): This appears to toggle between 16xAF and trilinear filtering, with a five percent increase in performance by turning this off. Anisotropic filtering helps with keeping textures from appearing blurry even when viewed from oblique angles. Motion Blur (Off/On): Causes blurring of frames based on speed of movement. I really don't care for this effect, and turning this off can improve performance by around five percent. Film Grain (Off/On): A post-processing effect that adds a bit of graininess to the output, with a minor three percent impact on performance. This one can easily be turned off since it doesn't really add a lot to the overall image quality. Distance Field Ambient Occlusion (Off/On): This is a higher quality form of ambient occlusion, and it comes with a warning that it can cause a 'significant' impact on performance. It's off by default, even on the epic preset, but turning it on only causes a four percent drop in performance. Still, on slower graphics cards there's no reason to enable this. Screen Space Ambient Occlusion (Off/On): Ambient occlusion affects the rendering of shadows caused by ambient lighting, with SSAO being a relatively fast approximation of full AO. Turning SSAO off improves framerates by 12 percent, though grass and many other objects look 'flat' without it. Note that post processing must be set to medium or above for this to actually do anything. Dynamic Tessellation (Off/On): Currently, this setting doesn't actually do anything—you can't turn it on. It's supposedly going to be an option with DX12 and/or Vulkan, if that ever gets implemented. Distance Field Shadowing (Off/On): Improves the quality of shadows on distant objects, from what I can tell. Turning this off gives a pretty massive 18 percent increase in performance, so this is one of the first settings I'd recommend changing if you're trying to increase performance. High Quality Materials (Off/On): Improves the quality of materials effects, like bump mapping and specular highlights. Disabling gives a small four percent performance increase. Sub Surface Scattering (Off/On): Improves how light interacts with materials, with a small four percent performance increase if disabled. High Quality VFX (Off/On): This appears to change the quality and quantity of visual pyrotechnics, mostly if you're using weapons (or on fires). In testing, disabling this gave a three percent increase to performance, though the difference may be larger in firefights/raids. Simple Distance Character Movement (Off/On): This causes no discernable effect on performance in testing, and it appears mostly to reduce the quality of animations on dinosaurs/characters who are far away. High Quality LODs (Off/On): Increases the level of detail on objects and terrain. Turning this off gives a decent 11 percent increase in framerates. Extra Level Streaming Distance (Off/On): Mostly affects systems with limited RAM, from what I can tell—it will cause the game to load (stream) in objects that are farther away. In testing, this only causes a small 1-2 percent performance change. Color Grading (Off/On): A post processing filter that changes the way colors are displayed, mostly making things brighter and more vibrant when enabled. Disabling gives a small three percent increase in performance. Light Bloom (Off/On): Light blooms are the 'overexposed' highlights caused by reflections from the sun and other bright light sources. Disabling this increases performance by around 3-4 percent. Light Shafts (Off/On): Creates 'god rays' from light shining through tree limbs. It may have a larger impact in other areas, but I only saw a 3-4 percent change in performance at the test location. Low Quality Level Streaming (Off/On): Reduces the number of objects loaded into memory, and may help systems that are RAM limited. Gives a 3-4 percent increase in performance. It's interesting that Ark's developers at one point were talking about a DX12 patch to improve performance, but that was put on indefinite hold over two years ago. Later, the devs started talking about potentially supporting Vulkan instead, but that hasn't appeared either. Regardless, based on the way the game looks and how it currently runs, I'd say there are likely other optimization tasks Ark needs first, before anyone starts thinking about getting improvements via low-level APIs. Meanwhile, more expansion packs are already nearing completion. Something else to point out is that Ark does use some Nvidia GameWorks libraries, though it appears to be limited to Ansel—the tech that allows you to take ultra-high-res screenshots. The Nvidia branding isn't displayed in-game, but you can see it on the Ark Park trailer. It's difficult to assess how much Nvidia-specific optimizations might be present, but there's reason for at least a bit of suspicion. Thanks again to MSI for providing the graphics cards, desktop PC, and motherboards for testing. Additional CPU scaling testing was done with various MSI motherboards for sockets LGA2066, LGA1151, AM4, and TR4. All testing was done with the latest Nvidia and AMD drivers available at the time of testing, Nvidia 385.41 and AMD 17.9.1. Ark is a game that can generate strong feelings from both its proponents and detractors. Some love the 'do anything you want' sandbox environment, others hate it, but the good news is there are servers—included custom dedicated servers run by individuals—for all types of players. 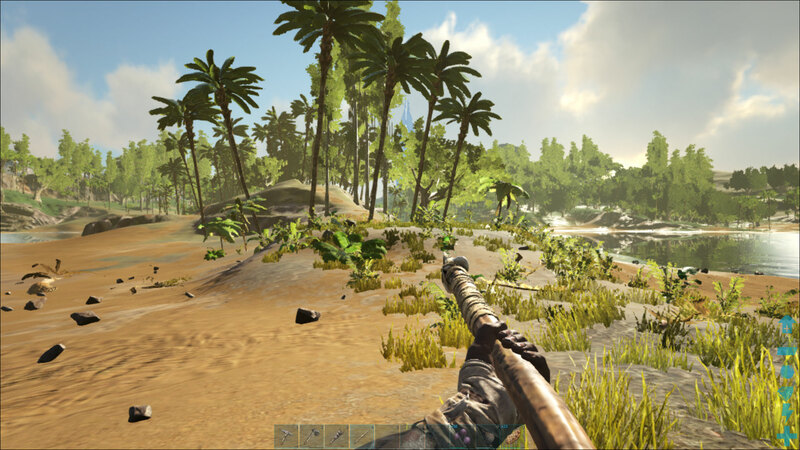 As for performance, Ark also joins the ranks of some of the most demanding PC games currently available. It's possible to run the game on more modest hardware, but at maximum quality, it can take down even the beefiest of rigs. It's also the poster child for the ups and downs of Early Access, and at least in this instance, Early Access didn't do any favors to the hardware requirements.